Acne is an extremely common skin condition that impacts millions of people. Acne is an extremely common skin disease that impacts millions of people. This condition occurs when sebaceous glands become obstructed and is characterized by pimples, blackheads, whiteheads and sometimes deeper cysts or nodules on the face, neck, chest, back, shoulders, and upper arms. Acne typically begins in adolescence and continues through a person’s twenties and thirties. Some struggle with acne all their life. Regardless of the duration, acne can reduce self-esteem and leads to anxiety or depression. 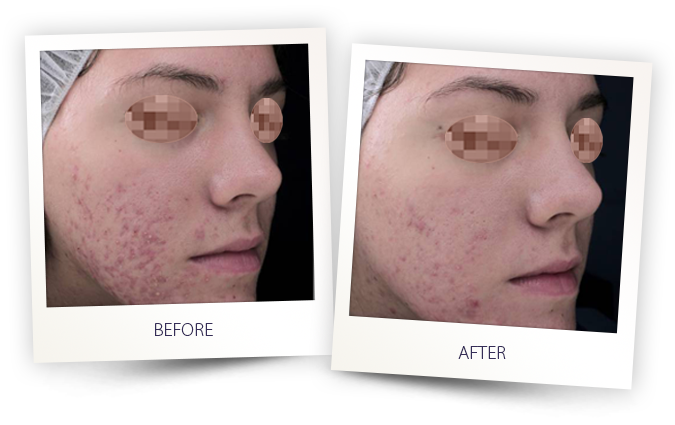 If left untreated, acne often results in scarring. While there are many treatment options available for acne, both prescription and over-the-counter, these do not work for everyone. 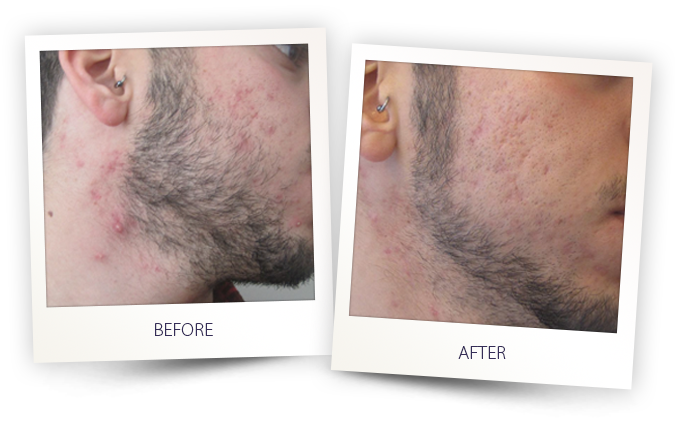 When acne is particularly stubborn or severe, a more advanced solution may be needed. In the past patients with persistent, moderate acne have been treated with only topical or systemic antibiotics. New technology now offers hope for those afflicted by this skin condition with long lasting results. Defeating active acne, with lasting results! We use a proprietary pulsed light technology called AFT (Advanced Flourescence Technology). AFT can improve inflammatory acne without side effects associated with traditional acne medication. AFT converts unused UV light into the optimal spectrum for a range of treatment applications. Intense blue wavelengths destroy the Propionibacterium Bacteria (P/Acne) without damage to surrounding areas. Simultaneous contact cooling allows for more comfortable treatment and little to no discomfort for the patient, it is a non-invasive procedure that doesn’t require any topical anesthetics. The treatment is suitable for all skin types, has no side effects and achieves a clearer, smoother complexion with lasting results.